operational plan, with quantitative metrics for each program, and to share it with others. of programs, our employees, and the people we serve, thank you for your support of our mission. 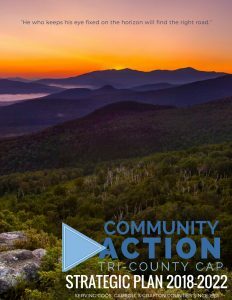 Tri-County Community Action Programs, Inc.
Our Strat. Plan 2018-2022, available in Adobe PDF format, can be downloaded.